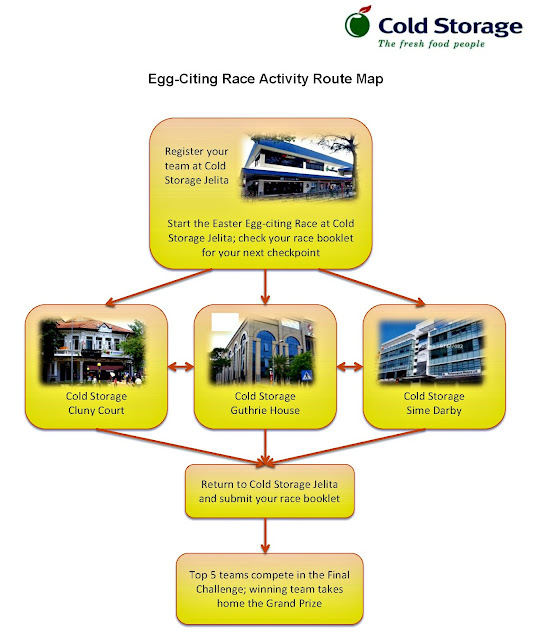 Cold Storage Easter Egg-Citing Race 2016! 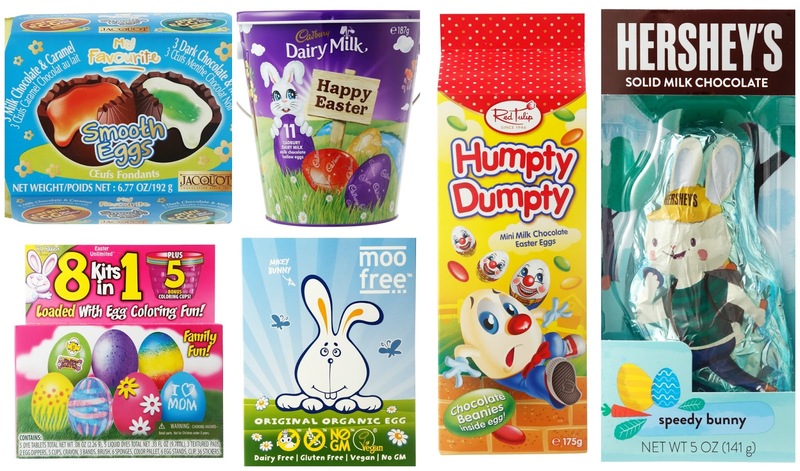 Think Easter and we think about cute fluffy bunnies hopping around, colorful eggs, the egg hunting and feasting on some delicious cute bunnies candies or chocolate. This Easter how about getting a loadful of family fun with Cold Storage at their first Easter EGG-citing Race? Starting from our Jelita store along Holland Road, make your way down to other Easter Race hotspots in Sime Darby, Guthrie House, Cluny Court, to play an ‘egg-citing’ array of games and challenges, and earn points. Circle back to Jelita at the end, where top teams will compete in a final challenge to win a grand prize! The free pre-registration has started on 5th March 2016! Hop over to the Cold Storage Facebook page and pre-register your team for the Cold Storage Easter Egg-Citing Race. There is no age restriction but each team must comprise two to four participants with at least one team member aged 18 years or above. Hurry! Slots are limited to the first 30 teams only! Not the competitive ones? It's ok, from 2pm to 5pm you can join in the Egg-Citing fun too with these Family Fun activities on Level 2 of Jelita Shopping Centre. Be sure to catch and take a photo with Cold Storage’s adorable mascot Appleton who will also be on the roving around the store from 1pm to 7pm. There'll be craft activities where kids can piece together their very own fluffy bunnies and chicks. 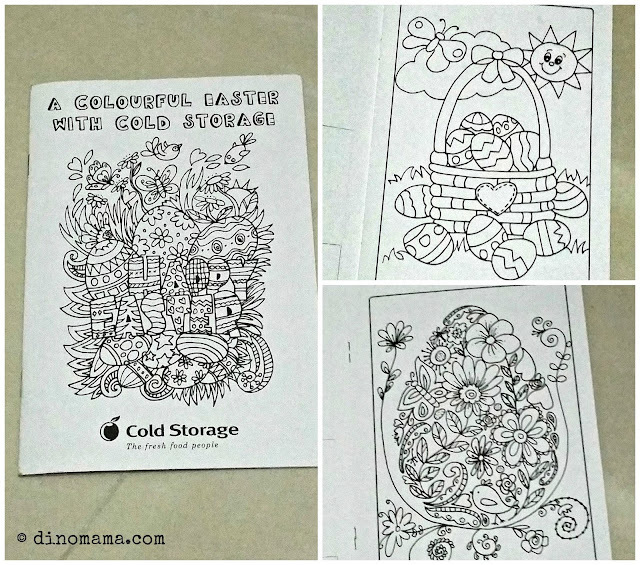 Join the Cold Storage Easter Colouring Contest that is happening from 4th to 26th March 2016. 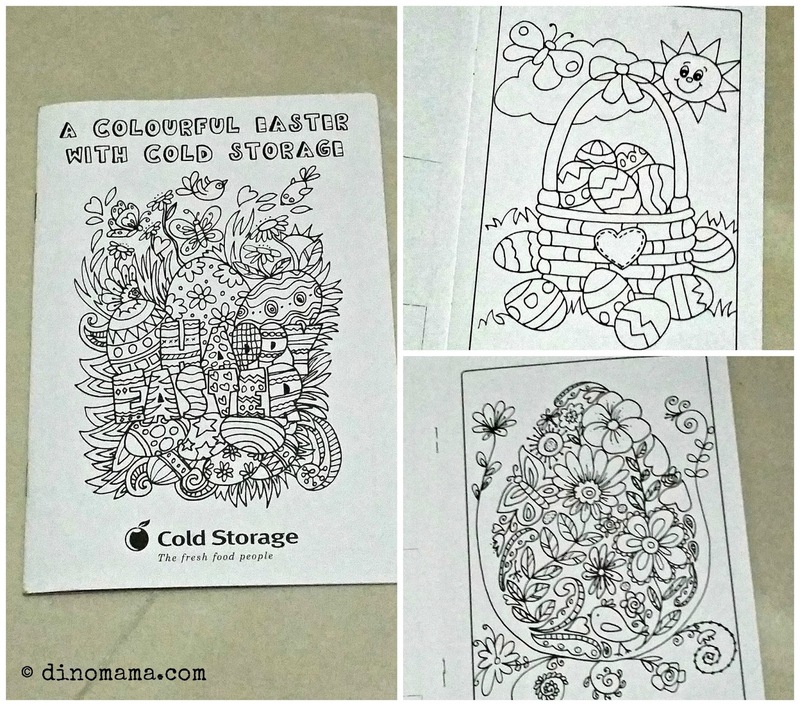 With every minimum spend of SGD25 in a single receipt you will receive a Cold Storage Easter Colouring book. To participate, simply have to design and colour the Easter egg template found in the Cold Storage Easter Colouring book, upload your photo submission to Instagram, tag Cold Storage @coldstoragesg and include the hashtag #cssgwin. Your photos must be made to "Public" so that every one can view it. We love the coloring book that is filled pages suitable for all ages, they have simple designs for the younger kids and the more complicated ones for older kids or even adults to enjoy. 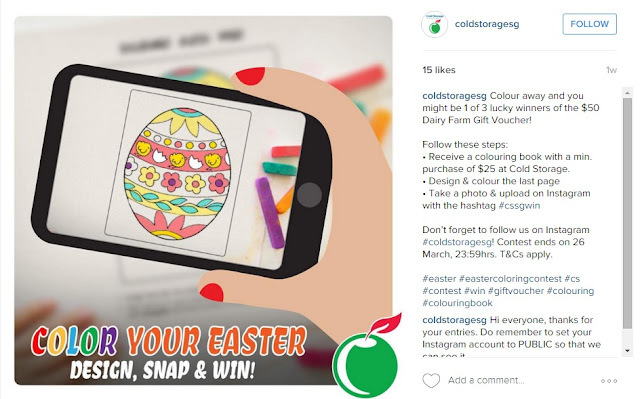 Remember to follow the Cold Storage Instagram (@coldstoragesg) for contest highlights and updates. Check out these colorful eggs treats to include in your Easter Party this year! We will be having a Colorful Easter with Cold Storage, we hope that you will join us too! 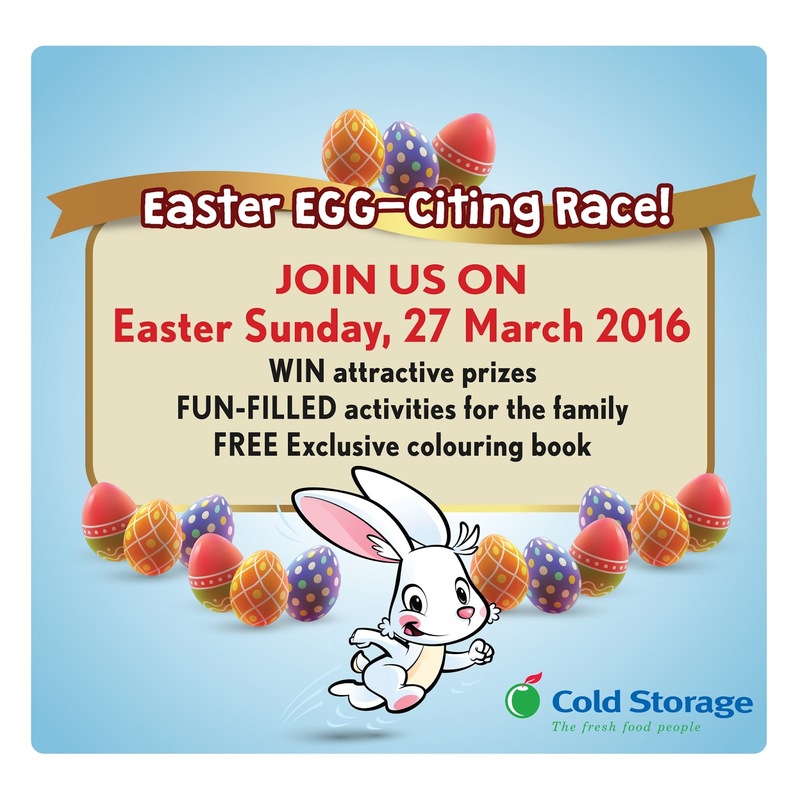 See you at the Cold Storage Easter Egg-Citing Race on 27th March 2016! Disclaimer : We received a cute little Easter hamper from Cold Storage for the purpose of this post. All photographs, unless otherwise mentioned, belongs to The DinoFamily, you may not use them without our permission.